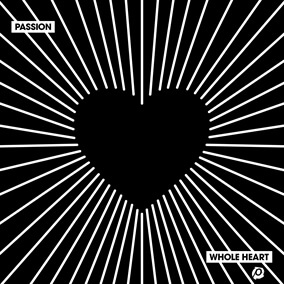 Passion's newest worship album, Whole Heart was recorded live with the sold-out backdrop of 32,000 students from 700 universities and 35 countries in three arenas including two in Atlanta and one in Washington D.C. and it introduces strong new anthems that are already being sung in churches including "More Like Jesus" and "God, You're So Good." "These songs are genuine expressions of worship to God," shares Passion's Kristian Stanfill. "They come from a place of true transformation and the wrestling that goes along with it. The lyrics and melodies on this record are moving us and our community to a deeper devotion and discipleship to Jesus—and we believe that same thing will happen for so many others." Check out this newest release from Passion today on iTunes and pick up the worship leading resources you need to include these songs in your own setlists.